Double CD compilation. Loop based music can take many different forms, crossing over musical styles and genres. The result is music as diverse as the people who create it. The LoopDoctors with Johnny D.
The more times I listen to this compilation, the more things I hear. That is so much of the appeal of looping for me: one moment it can sound maniacally mechanical and robotic, the next so organic and soothing. I was inspired to obtain Vol. 3. These are very special artists, and the compositions couldn't be more "of the moment." Bravo! Gather ten different looping artists...and you'll get ten different ways of utilizing this music-enhancing technique. Bravo to all the Looper's Delight contributors for such inspiring creativity!! 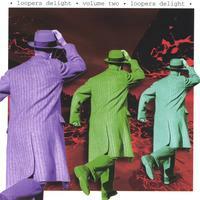 Buy this CD now; and while you're at it, Google search for "Looper's Delight, Volume 3" it's a continuation of sorts!